Hello! 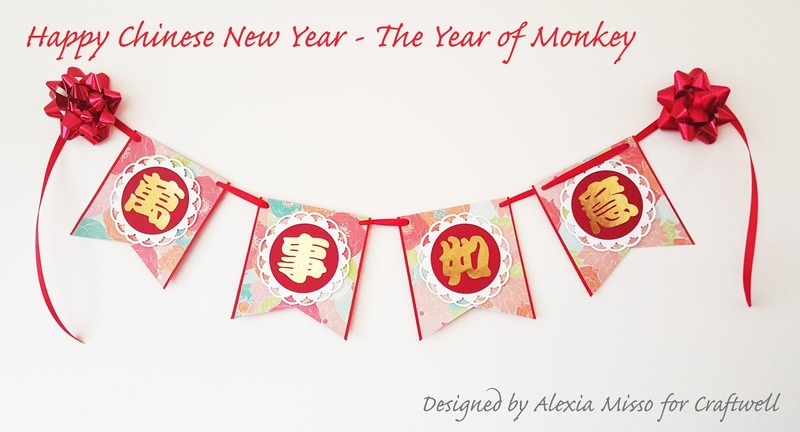 I don't know how many of you celebrate Chinese New Year but I'm for one very looking forward to this day. 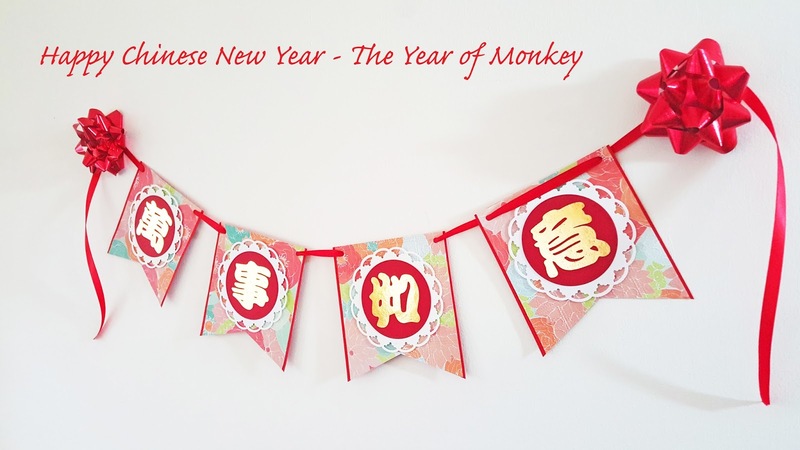 It's the year of Monkey and this year it falls on the 8th of February (yep, it's different each year depending on the lunar calendar). When I was young the celebration was huge, everyone would come home for the Chinese New Year Eve dinner - reunion dinner. But ever since I got married (especially when I'm so far away from home) I don't feel that kind of excitement anymore. There is no "reunion dinner" because I will not be around my mom and siblings. However, this year I want to change it up a little bit, I want my children to know what part of their culture is - being half Chinese. So we will be taking them to see the parade this year (if the weather permits!) 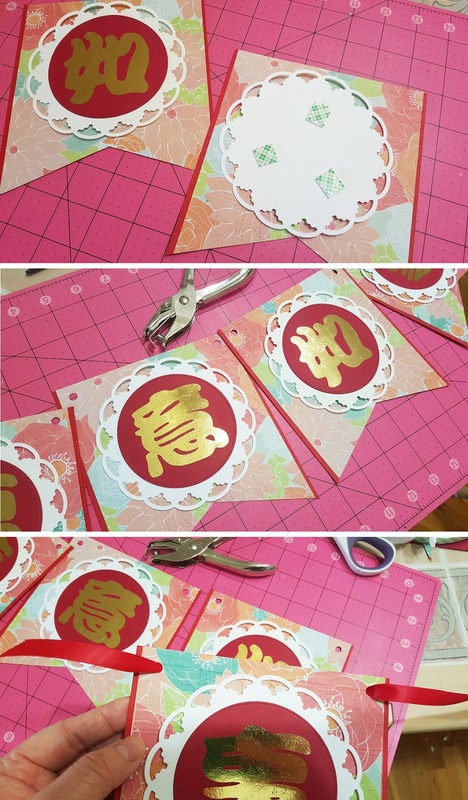 and get involved in other CNY activities. My first project was to create this banner so I can decorate the living room, bring on the festivity! The characters "万事如意" means: Wish the best of everything or hope everything goes your way. 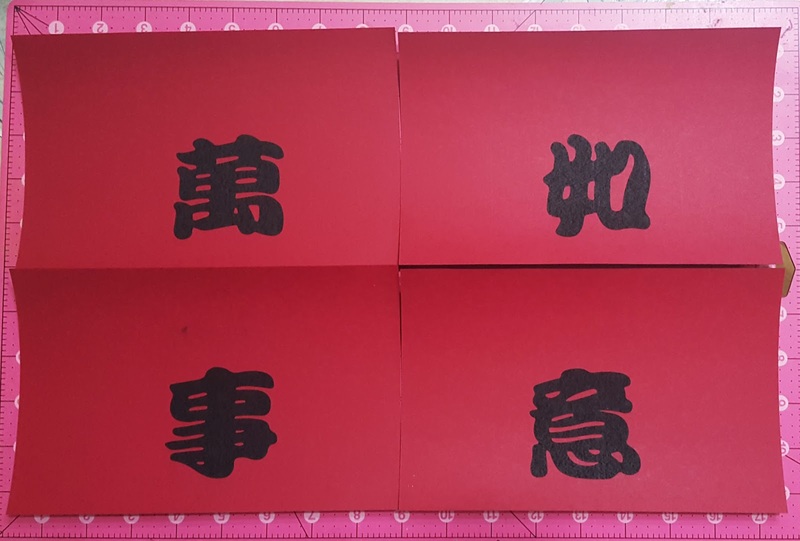 Step 1: Use your laser printer,print the Chinese characters on a red card stock (make sure to leave some space between each characters). Please see attachments for template. 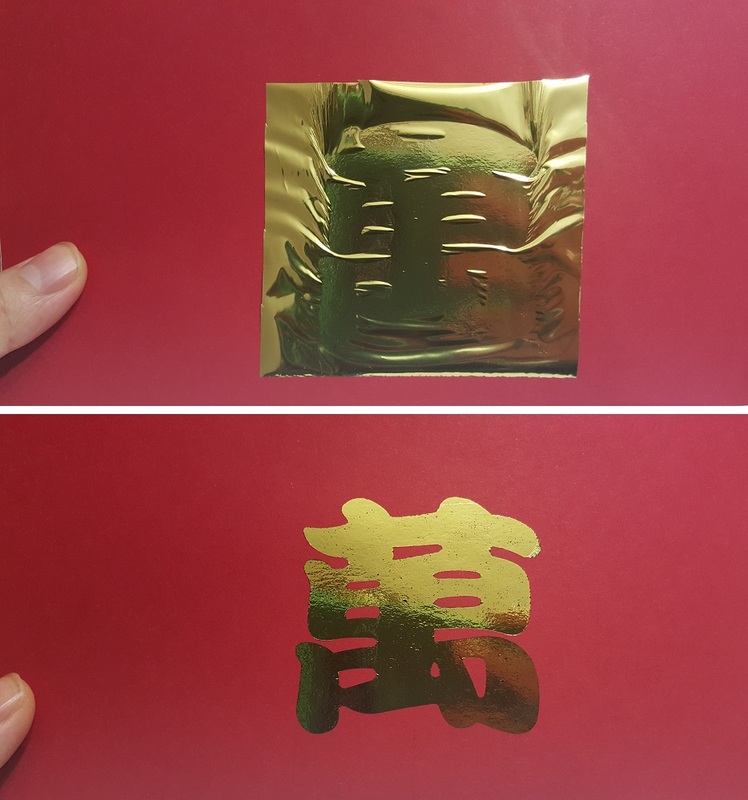 Step 2: Cut squares of gold foil and layer it on top of each characters, make sure to cover the entire print area. 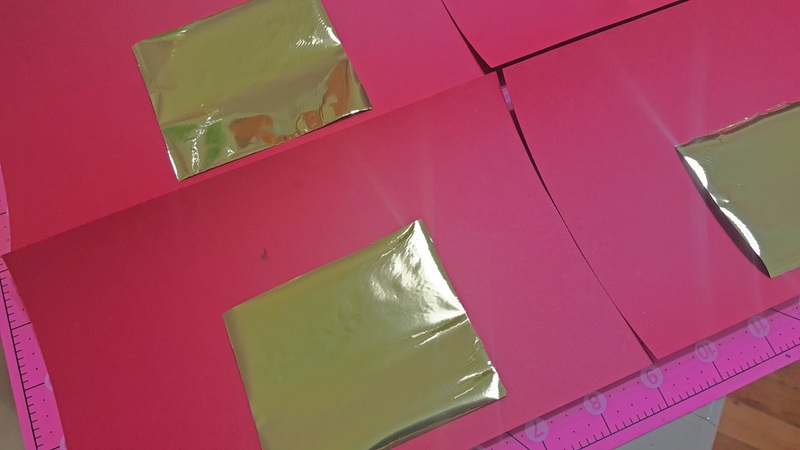 If you prefer, secure the gold foil with a piece of tape to keep it in place. Step 3: Run the A4 sandwich through the laminator. 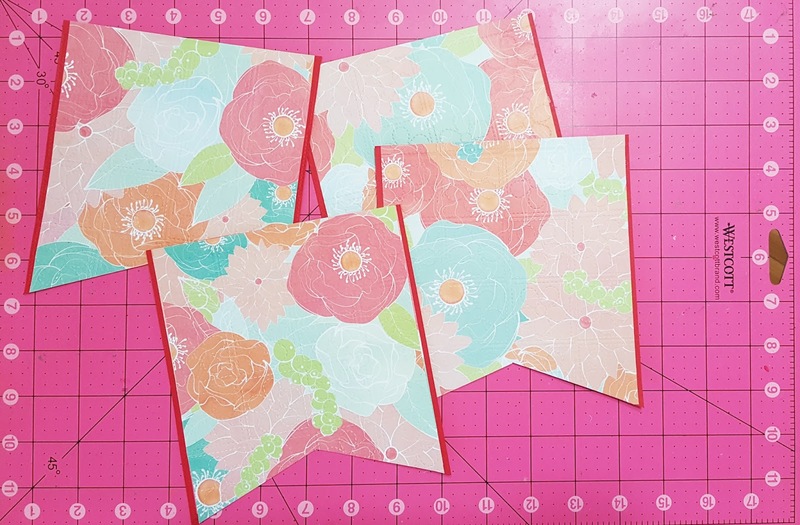 Step 5: Adhere the embossed patterned papers on top of the red card stocks, then cut fish tail shape on each of them. Step 5: Adhere the characters to the doilies. 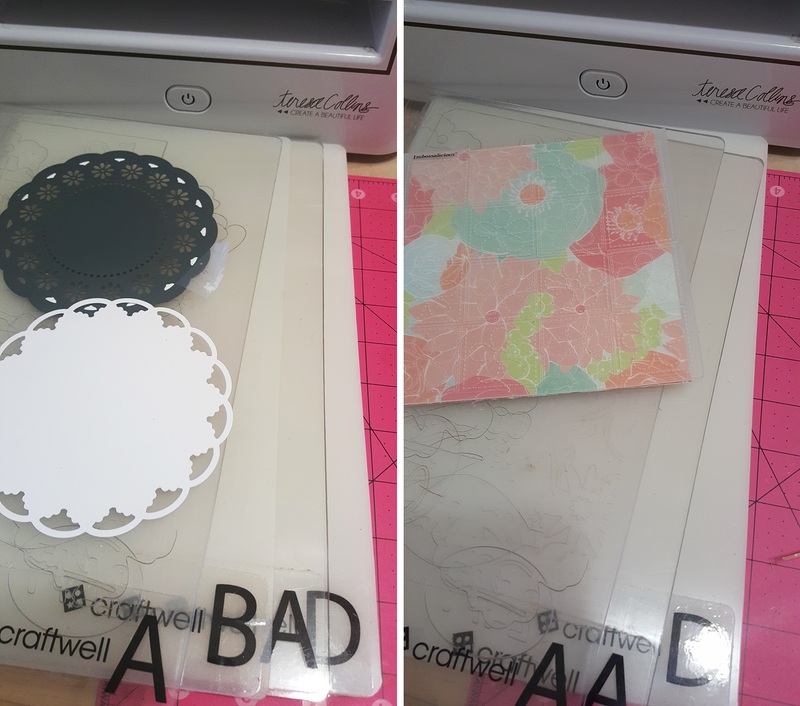 Then apply double-sided foam tapes on the back of the doilies and adhere it to the patterned paper. Finally, punch holes on the each banner piece and string the ribbon through the punched holes. That's it! I hope you like the project!